Background: Three-Dimensional visualization of brain tumors is very useful in both diagnosis and treatment stages of brain cancer. Discussion: It helps the oncologist/neurosurgeon to take the best decision in Radiotherapy and/or surgical resection techniques. 3D visualization involves two main steps; tumor segmentation and 3D modeling. Conclusion: In this article, we illustrate the most widely used segmentation and 3D modeling techniques for brain tumors visualization. We also survey the public databases available for evaluation of the mentioned techniques. 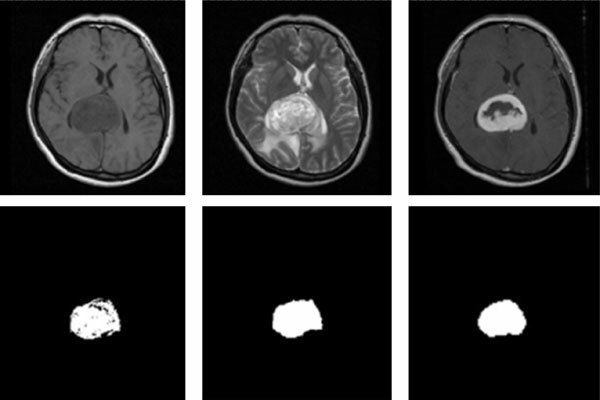 Brain tumor, segmentation, magnetic resonance images, visualization, reconstruction, treatment.